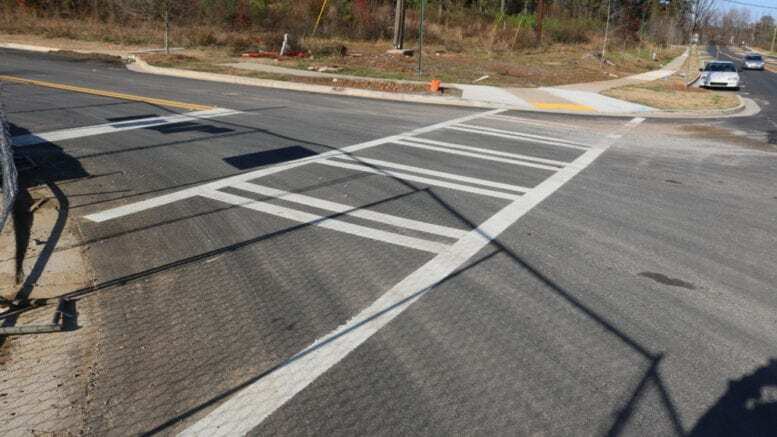 According to a news release from Cobb County Communications Director Ross Cavitt, the Cobb DOT and the Board of Education have met to plan pedestrian safety improvements where two high school students were hit on Holt Road near Wheeler High School on March 9. The students were hit while in the crosswalks. Both victims were taken to Kennestone Hospital with serious injuries, and one of the students had injuries that were life-threatening. The driver of the Mercedes that struck them was later issued citations for failure to yield to pedestrians in a crosswalk and failure to use due regard to avoid pedestrians. Officer Neil Penirelli of the Cobb County Police Department told the Courier a few days after the incident that the students were recovering from their injuries. Installing a “rectangular rapid flashing beacon” device at the crosswalk, which would include a raised median providing a pedestrian refuge in the middle of the road. This is similar to a pedestrian crossing currently in place on Lower Roswell Road just outside of the Sewell Mill Library and Cultural Center. Relocating the crosswalk away from a nearby side street and combine it with another crosswalk north of the current location. Close an exit from a parking lot across from the high school near the crosswalk. Install updated signage warning of the pedestrian crossing. Upgrade street lighting in the vicinity of the relocated crosswalk. Cobb DOT is going to obtain quotes for the work and devise a schedule. The DOT and the BOE will share in the expense of the work. Cobb DOT had planned a pedestrian survey on Holt Road before the incident happened. They installed cameras and other devices and are still studying the results. Cobb DOT engineers say if the old East Cobb Middle School site across from Wheeler High becomes an elementary school, further safety improvements will be needed. Be the first to comment on "Pedestrian safety improvements planned where two students hit near Wheeler High"